is a modern recycling company based in Bedford, Bedfordshire. Established in 2007 to recycle WEEE. 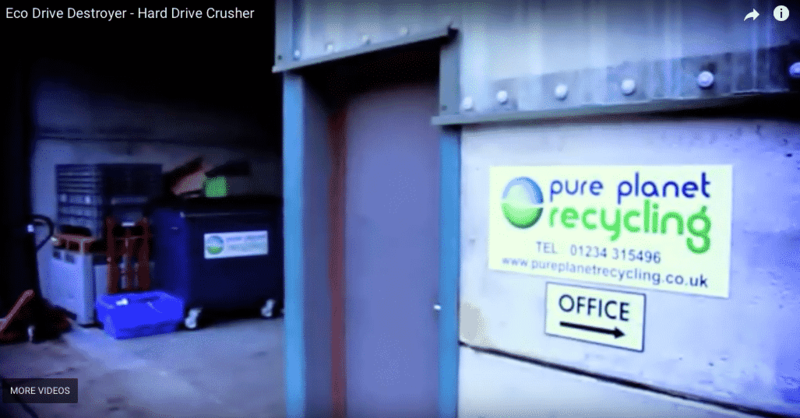 Pure Planet Recycling Limited is a modern recycling company based in Bedford, Bedfordshire. Established in 2007 to recycle WEEE (Waste Electrical and Electronic Equipment) we have quickly gained a reputation for great service at a great price. Backed by over 15 years waste management experience we offer a modern approach to recycling with good old fashioned service. As a company we are customer focused and pride ourselves in being an approachable company, we listen to the needs of businesses and adapt our services to ensure complete customer satisfaction. At Pure Planet Recycling we are committed to continually improve our environmental impact, we achieve this by ensuring we utilise the most up to date technology available to recycle electrical equipment. We make sure that by using our services you are complying with all relevant environmental legislation and you can be assured that your waste equipment is being disposed of professionally. Our customers range in size and industry sector, please feel free to visit our Feedback page / Case Studies page to see who and how we help. In November 2011 Pure Planet Recycling were announced as Green Business Of The Year 2011, at the Rising Star Business Awards. We felt this award reflected upon the hard work and dedication of the team and our desire to recycle electrical waste here within the UK. For more information about Pure Planet Recycling or any of our services please contact us. Pure Planet Recycling was formed by Paul Turbutt and Phil Gibbs to collect and recycle waste electrical equipment. The unique selling point of the business was to handle ALL types of electrical waste. Companies were soon benefiting from the services offered and the business began to grow. After 2 years in business, and with steady growth, the company expanded its coverage region. This saw an increase in Local Authority, Educational Facilities and business contracts. WEEE storage containers were being placed on-site for safe and secure storage solutions throughout 7 counties. In order to provide a physical method of destroying a hard drive on-site, Pure Planet Recycling created EDD (Eco Drive Destroyer). EDD destroys a hard drive within seconds by bending and snapping the drive without the need for Electricity. This ensures the hard drive is rendered useless prior to shredding and recovering the materials. Pure Planet Recycling were recognised in the Bedfordshire Business Awards as Green Business of The Year. In a tough category, they were acknowledged for their hard work in ensuring all business practises were optimised to reduce their environmental impact. Customers of the business also receive the benefit of a green recycling solution. After 6 years in business and with ever increasing demand the coverage region of Pure Planet Recycling grows to 19 counties. Additional staff and vehicles support the expansion into new territories. This enables access for businesses with multiple locations throughout the South East. Pure Planet Recycling achieves accreditation for the new Environmental Management System Standard ISO 14001:2015 from SIRA. The company also passes a successful H&S assessment and is now a member of the CQMS safety scheme. These accreditations demonstrate a professional approach in both health and safety and environment impact for the company and its customer base. The business celebrates 10 green years with a big announcement. Pure Planet Recycling has now expanded to offer a national WEEE collection and recycling service. From small, one off collections, through to lorry loads of waste electrical equipment. An environmentally friendly transport route planner is introduced to reduce the Co2 count. National businesses can now rely on our service levels throughout all of their locations UK wide. Pure Planet Recycling have provided Wadys Electrical with a professional service over last 8 years and approach everything they do in proactive manner. As a company we have been using Pure Planet Recycling since 2011 and have found they have been always prompt for collections and all relevant paper work is always ready and in order. First class company to deal with.